I haven't done one of these multi-image drawings in a while! 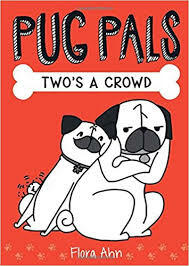 I was worried that I didn't have anything more to say about pugs. Oddly enough I finally got my inspiration for this topic by Sunny's NSFW pose this morning. I had to censor the image for safe viewing (see below). I don't normally censor the girls' photos, but this pose just was asking for it, and when I used an app to tap on that star sticker (just doing that made me chuckle), I couldn't resist posting it. Somehow adding the star makes this photo look dirtier - it draws attention to Sunny's lady parts. One of the things that always cracks me up about my pugs is how they have no shame and they do whatever they want. They don't care how they look, sound, or smell. If they want to toot, they toot. If they want to lick, they lick. If they have to poop, why yes they'll just pop a squat right next to you and make uncomfortable eye contact as they make little grunting noises. But their lack of self consciousness is also what makes them so great. When they're excited to see you they show it with their entire wriggly bodies. Who cares if you're on a conference call, they want to give you slurpy kisses! Sunny and Rosy always make me smile and laugh no matter how bad a day I'm having - and this is why my pugs make me so happy. hehe love this! 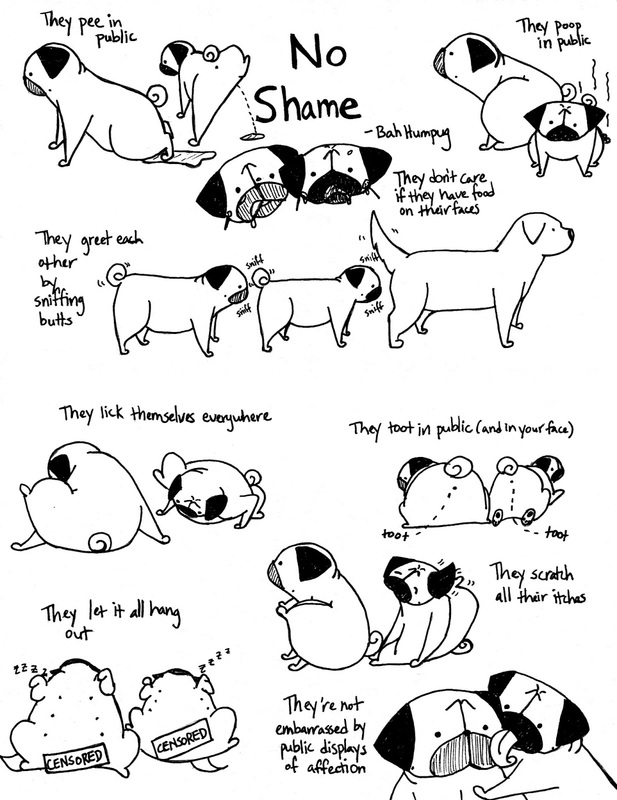 my pugs have no shame either and sometimes i feel like i should censor their photos too haha. Just when I thought you couldn't do another illustration that I like more than the last one that was my favorite, you top yourself yet again. Thanks for making me laugh, again! Wonderful! 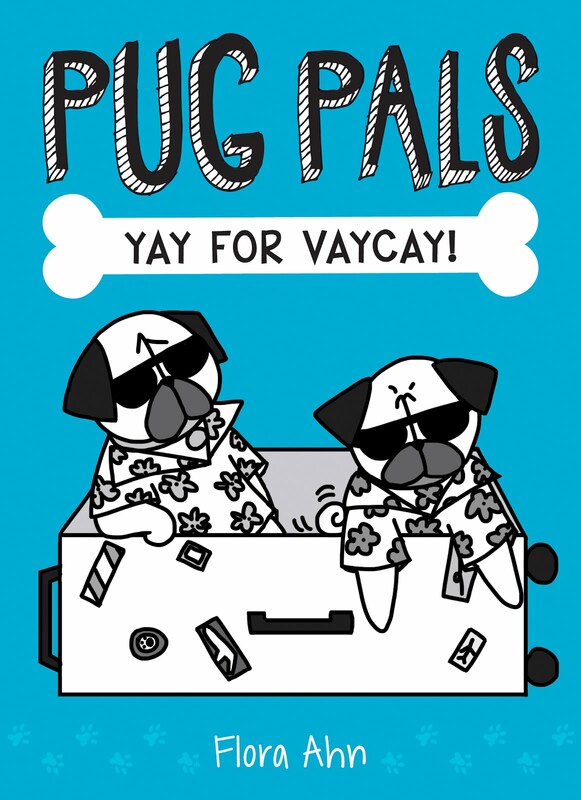 I love my shameless pugs!